It’s Reformation month again, dear ones! Can you believe it’s been a year since the 500th Anniversary of the Reformation? Wow that year went by fast. This month, like last year, I’m going to be sharing hymns written by reformers. We’ll start this month out strong, with a Martin Luther hymn. I hope it blesses you, as much as it blessed me, as always beloved brethren be good Berean’s and study to show yourselves approved. Hello again, dear friends! I hope this post has found you all well. As we return to this troubling series today, please pray for me. The reading material I’ve had to research for this post is grievous. Particularly in this part of the series, with the attack on marriage. Many of us have felt the sting of our parents divorcing, or perhaps were raised by a single parent. I have family members hurting right now because their spouse left them. Marriage is an unmistakably beautiful union, where God takes two people and makes them one. What God has joined together, let no man tear apart. In my last post in this series I explained that feminism can not coexist with Christianity, I hope this post further underlines that truth. I apologize in advance for the quotes, beloved, I’m sure they’ll grieve you as much as they have me. When Jesus is questioned about divorce in Mark 10 He points to the very first marriage, quoting as He often did from Genesis. In the beginning God made them male and female and the two became one flesh. This is a beautiful thing, dear ones. Marriage is the only thing that God compares with Christ’s relationship to His Church. Husbands should love their wives like Christ loves the church. This alone has placed marriage on such a pedestal that we, as born again believers, must be willing to defend it. Unfortunately, in this case we have to defend Gods plan for marriage against feminism, which is currently creeping into the church. Feminist scholars, often teaching our children in universities, view marriage with as much hostility as they view Christianity. The question I want to pose here is whether or not feminism should be in the church. You can clearly see my opinion on that question, as I’ve seen first hand the damage that is caused when marriages are destroyed. Every church, and believer, is going to have to answer this question for themselves. What we’ve seen so far this year is that a social gospel is being pushed throughout the Body of Christ, and with it comes feminism. How will we answer this movement? I hope this series will help you all in that regards. Beloved, let us not forget that we stand on the completed Word of God. When the world tempts us to falter, to set aside, or to go against Scripture it’s time to take a stand. The ‘tolerant’ will slander and abuse you, but stand you must. This is not an option, friends, we have one book, the Bible, that we follow. When the fads and movements of the culture we live in turn away from the teaching therein, we are a peculiar people set aside for the glory of God, we do not follow the culture. So be good Berean’s and study to show yourselves approved. Beloved, last Friday we started a very serious series on a touchy topic, feminism in the church. Today I want to give you a quick review of the roots of this movement as it relates to the church. It’s important to know where these types of movements come from, to help understand what their goal truly is. Most feminists claim their roots go as far back as the ancient pagan Greek civilization, while acknowledging three ‘waves’ in modern western culture. Some postulate that we’re in the fourth wave now, each ‘wave’ bringing a new generation into the feminist movement beginning in the early 20th century, late 19th century. On the surface spokeswomen have always said that their only goal is equality to men, currently in pay although previously in voting. Underneath the popular rhetoric is a stream of other goals, none of which hold to equality. Rather, what we often see is the desire for the woman to be over the man, not by his side. This puts feminism in direct objection to Christianity, which states women and men are equal, though they hold different roles within the church. Many of the goals of the feminist movement oppose Biblical principles, such as the push for abortion. Women in this movement consider the murder of the unborn as a right, while denying the right of the father to keep his child alive. Often ignored are laws of double homicide in the case of a pregnant woman being murdered. The issue of children in the womb having a right to life is ignored, and the debate focusing on a woman’s right to her own body. We’ll discuss more of the underlining goals of feminism in further parts of this series. The main thing I hope to show in this post is that feminism is not compatible with Christianity. In fact, it’s roots are in opposition to Biblical truths. As born again believers we must stand on the full counsel of Gods Word, and refute falsehoods whenever they creep in unawares. Pastors, elders, and leaders should warn their flock about these movements and their anti-Christian roots. Sisters in Christ should warn other sisters not to attach themselves to this movement. Next week we’ll dig a little deeper into just how opposed to Christianity feminism is by addressing their attack on the family. As always, beloved brethren, be good Berean’s and study to show yourselves approved. Beloved, this beautiful hymn was such a blessing to me. This week marks the third year since I was saved by Gods grace alone, July 4th 2015! With that burden I begin, and the Lord removed this load of sin. What an unbelievably amazing grace! I pray this blesses you as well, dear ones. As always, friends, be good Berean’s and study to show yourselves approved. Jesus loves to answer pray’r. rise and ask without delay. Lord, remove this load of sin! My soul, be-lieve and doubt it not. Why stag-ger at this word of prom-ise? Has Scrip-ture ev-er false-hood taught? By grace you too shall heav’n ob-tain. Our works and con-duct have no worth. And we are saved by grace a-lone. And when your heart is seek-ing rest. Is grace a-lone, grace in His Son. I love Gods Word, I love Gods people, I love going before His throne in prayer, and I love the beautiful way God can use each of these things to chasten me. I know that we live in a Christian culture today that sees no value in rebuke. How unloving, they say, a rebuke is. Can’t you just love me where I’m at? Pray for me if you think I’m wrong! Why is this the case? Why do so many calling themselves Christians bristle at a rebuke of a beloved member of the body of Christ, or the chastening of God Himself? 2. They’re true converts who have spent too much time listening to false converts. If 1. is the case than we must not begin or end with a rebuke, we must begin and end with the Gospel. To an unbeliever playing church being rebuked will either give them the opportunity to cry victim, or it will give them a chance to prove themselves a Pharisee indeed. If 2. is the case we must remember that once saved, discernment will follow. Do rebuke this beloved brethren, if you win them over it’s a wonderful thing! If they become angry, continue to pray for them that God would work in them from grace to grace. 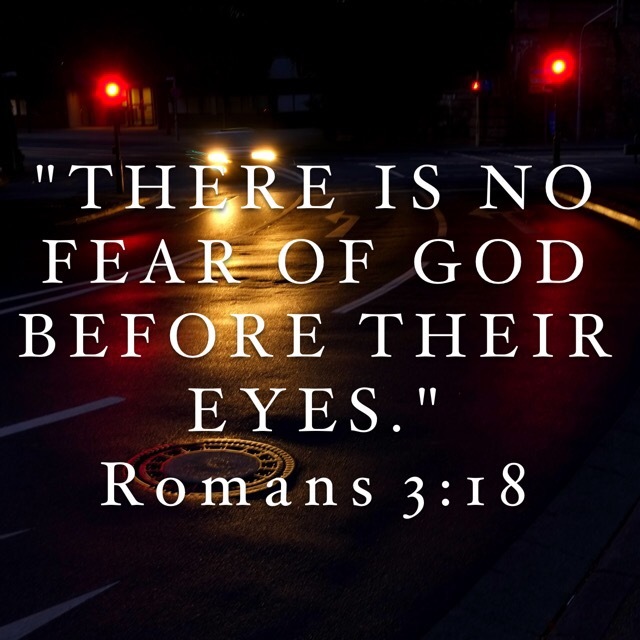 In both of these cases there is no fear of God. 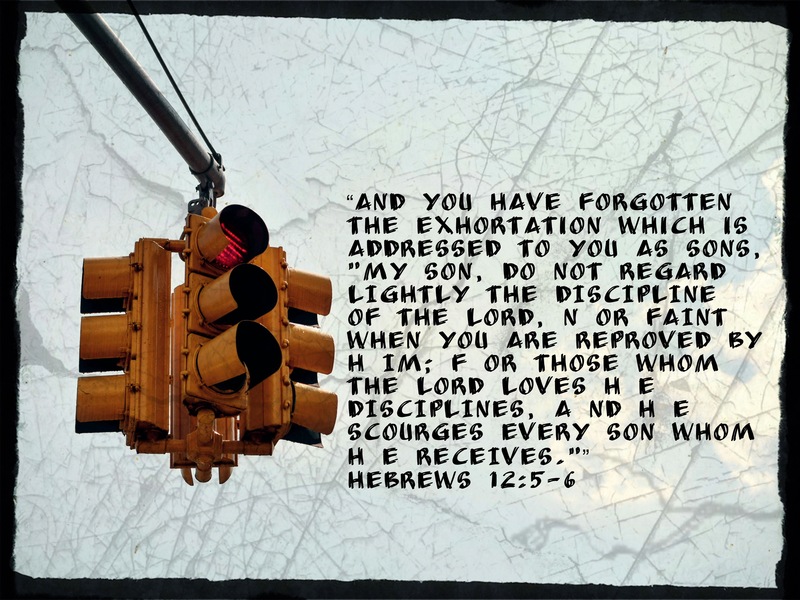 Gods Word tells us repeatedly, fear God. It says the fear of God is the beginning of wisedom. Pastors don’t preach on this subject anymore, everyone wants God to be their buddy, no one wants to hear of the wrath to come. I was chastened by Gods Word this morning. This is why I stress starting your day in prayer and study. The beautiful thing about being chastened by God is that His Word doesn’t just show us what not to do, but it tells us why as well. Then when we take it before Gods throne in prayer, the Holy Spirit strengthens us. Don’t fear chastening, beloved brethren, pray for it! God chastens those He loves. As always, dear brethren, be good Berean’s and study to show yourselves approved.